The Pool Lift Company brings together the best portable and fixed pool lifts products available on the market which meet every type of budget. Using our handy Pool Lift Finder you can quickly and easily source a range of suitable solutions whether you are searching for a hot tub hoist or a swimming pool lift for residential or commercial use. We are committed to providing the right equipment to enable access to water including swimming pools, hot tubs, jacuzzis, spas and other wet leisure activities. 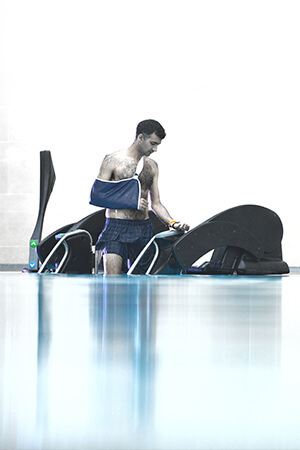 Our innovative range of products consider every type of environment and scenario so that people with disabilities, the elderly, or someone who is recovering from injury or an operation, can enjoy swimming, hydrotherapy and even just relaxing in a hot tub. 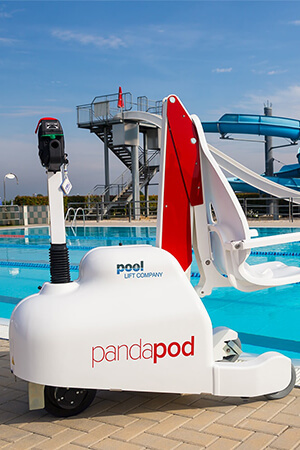 Discover our range of portable pool lifts which will safely transport its passenger from the changing room to the water edge and lower them down into a ground level swimming pool. 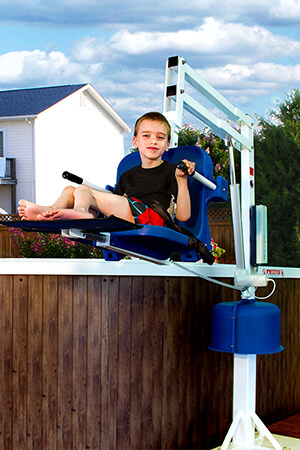 If you have a wall or a raised edge, then view our fixed hot tub hoists and lifts for an ideal solution. 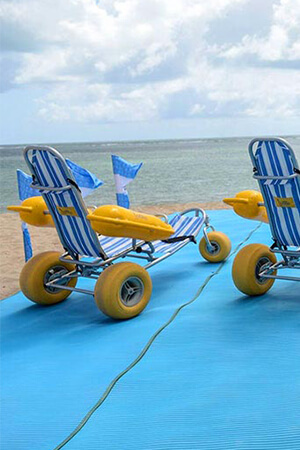 We even have fully submersible wheelchairs. Our expert team will help you with your specification and can arrange a full site survey if required. The Pool Lift Company also offer installation, service and maintenance. We specialise in both residential and commercial pool lift and spa hoist solutions. Rudding Park Hotel & Spa is a large, contemporary-style country house hotel, surrounded by parkland and golf courses, with bold colours, sleek bedrooms and imaginative rooftop spa. Plenty of comfort and thoughtful touches make this a luxury destination near Harrogate. We're GLOBAL! Choose a branch below and contact us today. The Pool Lift Company head office is open Monday to Friday from 8.30am to 5.30pm where our dedicated team are on hand to deal with all your enquiries. The Pool Lift Company have opened brand new offices in London to support our ever-growing and successful pool lift services. The Pool Lift Company Manchester Branch is open Monday to Friday from 8.30am to 5.30pm where our dedicated team are on hand to deal with all your enquiries. The Pool Lift Company Glasgow Branch is open Monday to Friday from 8.30am to 5.30pm where our dedicated team are on hand to deal with all your enquiries.